The T8 eAWD plug-in hybrid model joins the lineup. A longer wheelbase becomes standard on US S90 models. Volvo Cars debuted the highly-anticipated Volvo S90 luxury sedan in Gothenburg, Sweden today on the heels of the company's award-winning Volvo XC90 SUV. 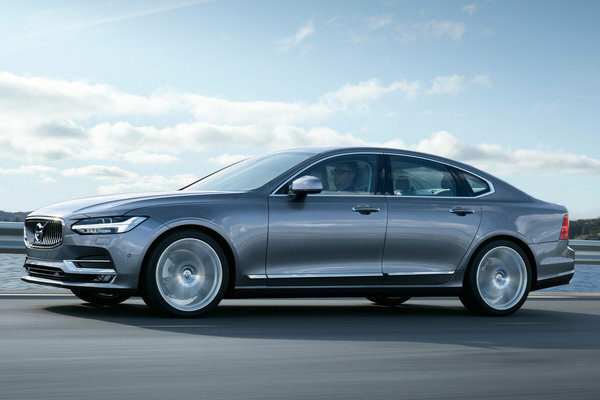 The all-new Volvo S90 sedan is a bold entry into the luxury sedan market and sets a new standard with superior materials, technology, comfort and class-leading semi-autonomous features. "With $11 USD billion of investment over the past five years we have not only reimagined what Volvo Cars can be - we are now...Read.